“Kid Rock” is quite the character around the farm – always looking for attention and mischief! He has now been started under saddle (Deember 2014), but as he is still growing (currently about 15.3hh) he will be taken slowly over the next few months. His dam, Rockabella, is by Ramazotti from Noblewood Park Chanel, by the outstanding imported German stallion Collins, out of the imported Holsteiner mare Cadence from the well-known Holsteiner Stamm 776. 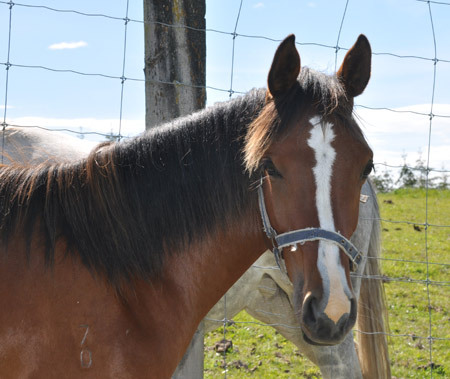 This line has been dubbed by some German breeders as a “magic formula”, rather than a mare line. Stamm 776 has produced sires such as Calvados I and II, Cortino I and II, Lord Incipit, Captain Incipit, Lauritz J, Rossini, Acorado, Lordanos, Ramirado Contiki, Toledo, and world-class sire Ramiro, who is present in many top showjumping horses and sires. 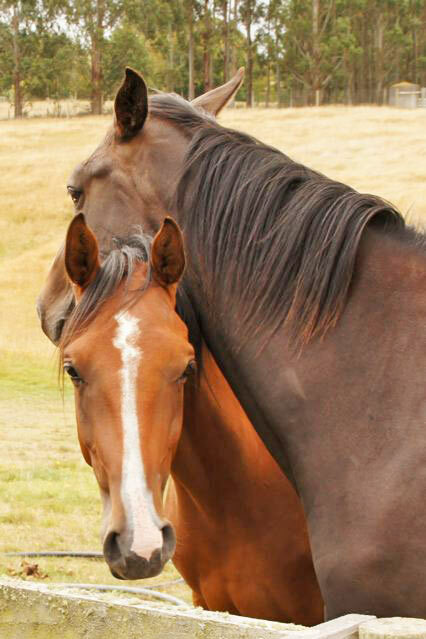 Sun Dance is Rockie’s first foal, and she is now moving on to a ridden career.